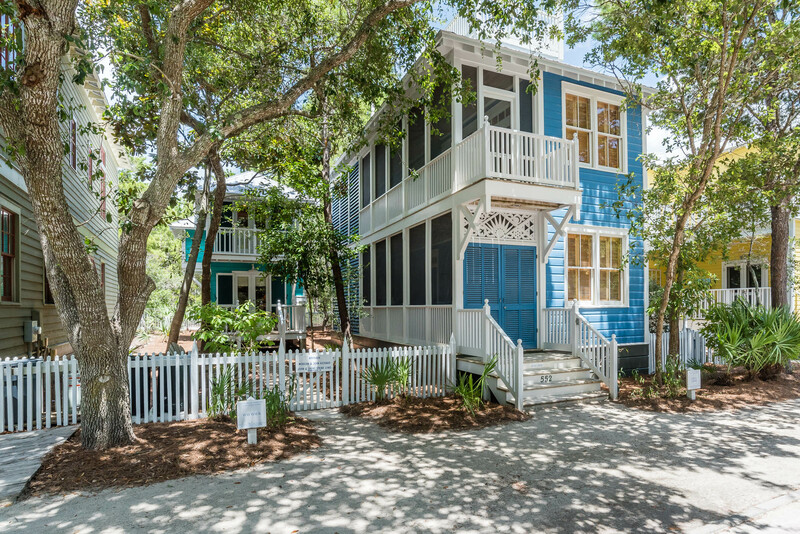 Featured in Coastal Living Magazine! 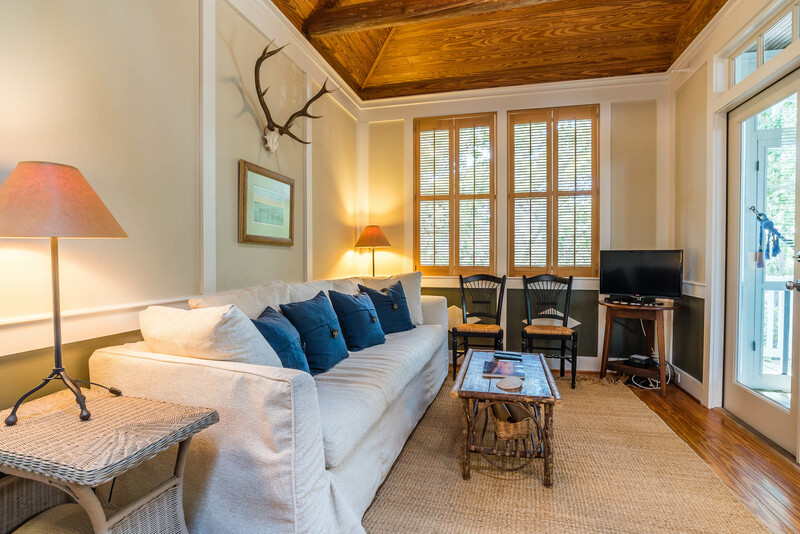 Your own Little Lodge is what you'll get when you stay in this cottage, located on Forest Street near the adult and family pools and Tennis Club. 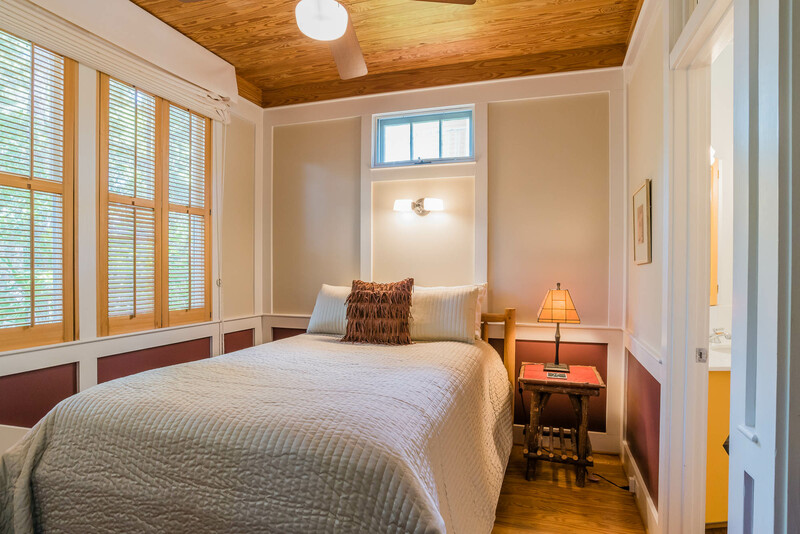 An adorable and unique cottage, it has a queen bedroom with private bath and a second queen bedroom with private bath on the first floor. 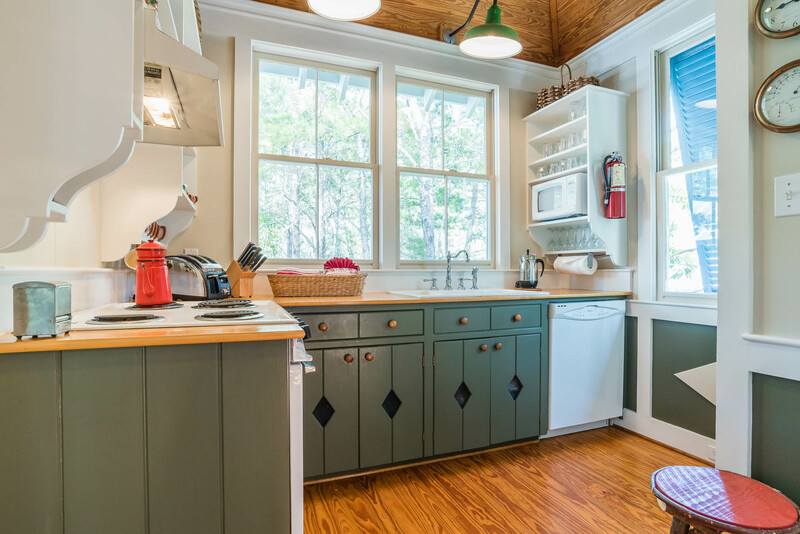 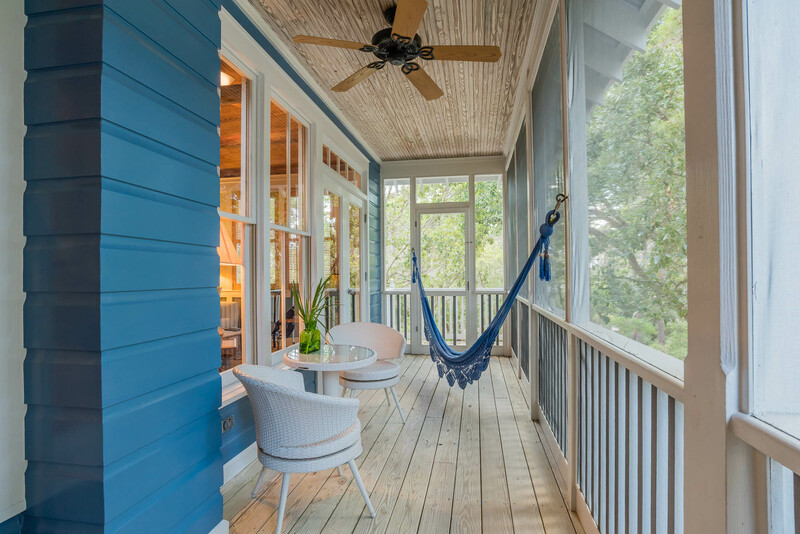 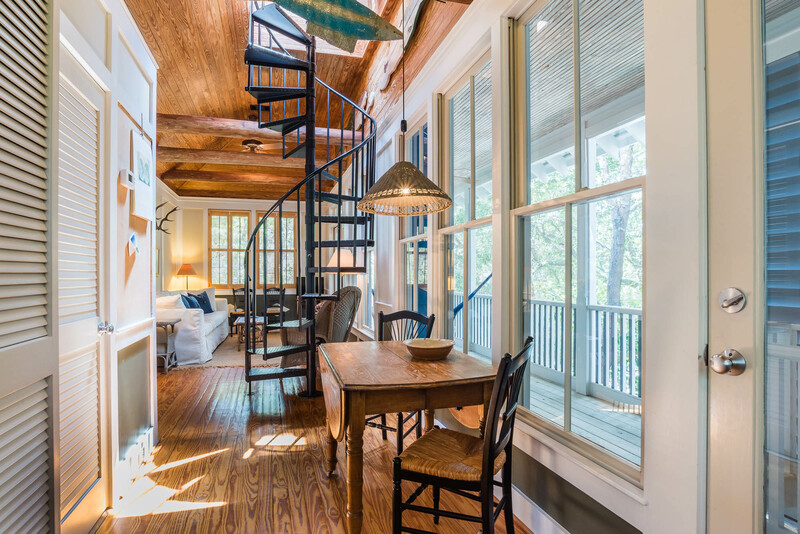 In this "dogtrot" style home, a spiral staircase located on the screened porch accesses the second floor, on this level you will find the living room, dining area, kitchen, and half bath. 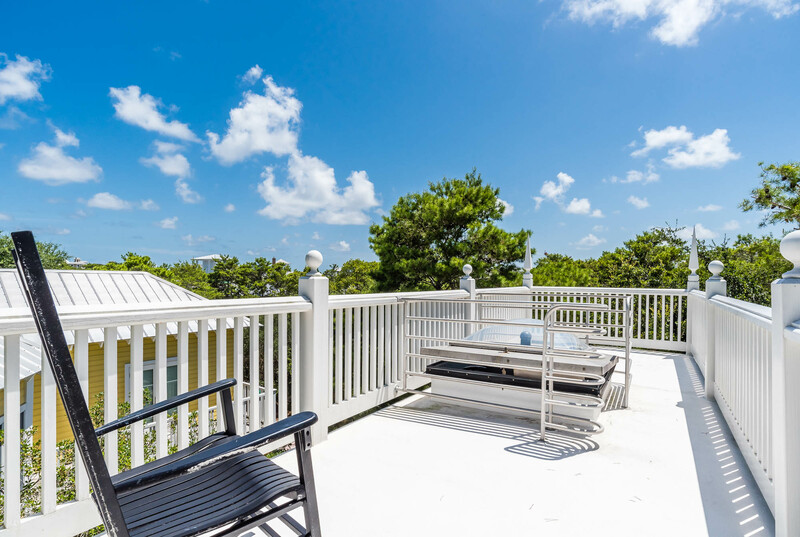 The third level rooftop deck offers a spectacular view of Seaside!